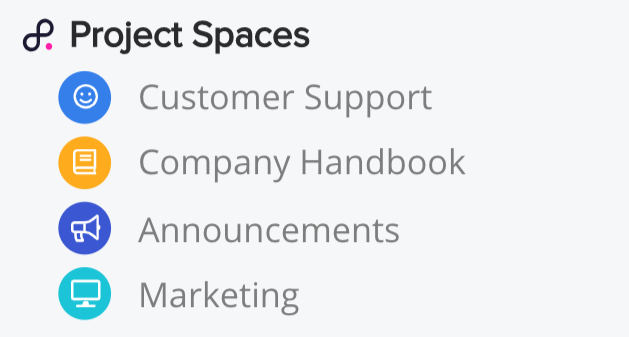 Within Teamwork Projects, you can view the current Spaces linked to your project in the project's Overview section. When viewing the project in Teamwork Projects, you will see a Project Spaces section at the bottom of the left sidebar in the project's Overview tab. Clicking the Space name will open that Space in a new browser tab. Note: It is possible to link multiple Spaces to a single project. However, an individual Space can only be associated with one project at a time.